There are few more evocative events in the sporting calendar than the Tour de France, regardless of whether or not you’re a fan hitting the saddle yourself. In 2014, the Tour will kick off in Yorkshire, returning to the UK for the first time since 2007. However, it’s the French stages that will be the real highlight, with the world’s best cyclists gathering to compete across the 3500 kilometre route, crossing picturesque countryside and some of the country’s most famous cities before the final sprint down Paris’ Champs-Elysées on 21 July. As ever, it promises to be quite a spectacle, with plenty of action taking place near Calais for those tempted by a short ride by ferry. July 14th is one of the most important dates in the French calendar. Bastille Day, or La Fête de la Bastille or La Fête Nationale, is the festivity of independence marking the first major event of the French Revolution of 1789, the storming of the infamous Bastille prison. Today, this national holiday is marked with a military parade up the Champs Elysées, along with festivals, spectacular firework displays and cries of ‘Vive le 14 juillet!’ (‘Long live the 14th of July!’). While the largest activities may centre on Paris, every town or city tends to put on its own events. These may vary greatly in scale, but the party spirit is very much the same throughout. From May 14 to May 25, the city of Cannes will again become the focal point for the world’s film industry, with heavyweight names from Hollywood and beyond descending on the French Riveria. However, the festival is strictly invitation only, with trading or selling tickets deemed to be illegal. If you are offered tickets, especially online, the chances are they will be fakes so be extremely cautious. Despite this, it is still possible to watch a screening. Scores of people each year line up outside the festival holding signs asking for tickets. Many of them are lucky, some more than once. There are spare tickets out there – it’s just that getting them will take some confidence and more than a little fortune. If you are one of the lucky ones, remember to dress appropriately. A tuxedo or black ties is obligatory for men, and gowns expected for women. This is a formal requirement – anyway, you wouldn’t want to be walking down the red carpet looking anything other than your absolute best. It’s also worth noting that finding places to stay is extremely difficult during the festival. Hotels are typically booked up months in advance, and hostels and boarding houses are non-existent. You may have better luck camping or staying out of town, but public transport can be unpredictable. Despite all these challenges though, it’s more than worth it if you can get in. There really are few other occasions like it. Since it was resurrected in 1997 following a 50-year absence, the Paris Carnival has become one of the most exciting annual events in the city’s summer schedule. On5th July next year, the capital will again be blur of noise and colour as the Dimanche Gras (Fat Sunday) parade winds its way from Place Gambetta to the Hôtel de Ville. Meanwhile, the streets will be filled with a stream of musicians, jugglers and street performers vying for your attention, along with a horde of visitors and residents in flamboyant fancy dress costumes. 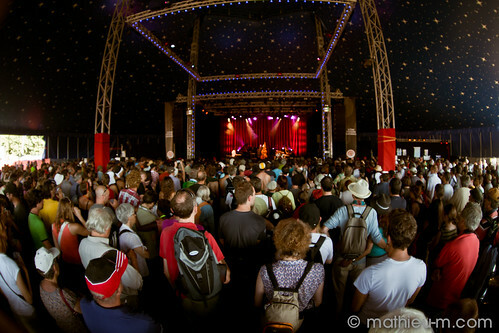 As France’s largest festival, Vieilles Charrues takes over the region of Carhaix-Plouguer, with more than 200,000 music fans making the pilgrimage to Brittany each summer. The line-up for 2014 is yet to be announced, but over the past few years the event has played host to a number of major names, from punk pioneers Iggy and the Stooges to Bruce Springsteen and Elton John. Last year was a particular highlight too, featuring Neil Young & Crazy Horse, Germany’s Rammstein and 60s legends Santana. Sam Wright is a freelance writer and journalist based in Norwich, Norfolk. He has travelled extensively through France, and visits every year.